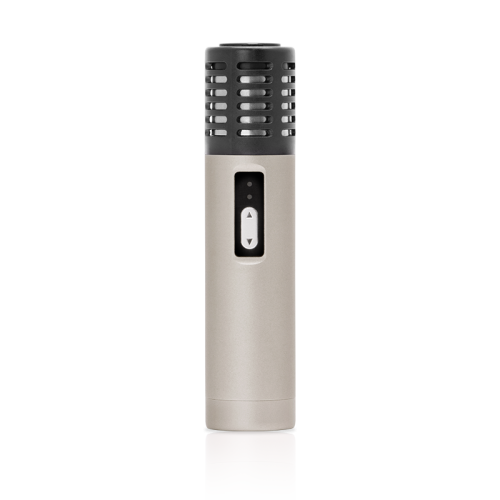 The Crafty Vaporizer from Storz & Bickel offers high quality vapor in a sleek, handheld design. The Crafty incorporates several cutting-edge thermal engineering features, enhancing the vaporization experience. Vapor is channeled from the heating chamber, up through the cooling unit for vapor that is easier to take in. This Lithium-ion battery powered unit fits right in your pocket. A one-button control turns the Crafty on and it heats automatically to the default temperature of 356°F (180°C). When the desired temperature is reached, it is signaled through a short double-vibration and the LED lights change from red to green. Offering Volcano performance in a portable package, the Crafty vaporizer serves up mobile sessions with sizable clouds. By combining a powerful battery, large chamber and reliable operation, the Crafty stands out among portable vaporizers as a nearly bullet-proof performer. The matte black exterior of the Crafty will appeal to those looking for discrete operation. The build evokes a radiator-like image with a scalloped design, covered in small fins. This gives the Crafty vaporizer a great feel in hand. Unadorned of LCD displays or garish logs, the Crafty Vaporizer contains only an on/off switch and a simple LED light that displays the status of your Crafty vaporizer at a glance. For those who like a little more visual indication of functions, a Bluetooth app is available for your Crafty vaporizer. The non-descript design allows for incognito use. This makes the Crafty a great city companion for a night out, or sneaky operation for when you don’t want to blow your cover. The unique swivel mouthpiece extends the vapor path for cooler hits, while simultaneously allowing the user to decrease the footprint of the Crafty vaporizer. A light push can be performed with one finger to extend to mouthpiece for hits, then quickly put back in place for easy stashing. This tactical design feature comes in handy for outdoor vaping sessions or any situation where discretion is essential. The Design of the Crafty is also highly modular, which comes in handy for cleaning and maintenance of the vaporizer. A quick twist, removes the mouthpiece assembly and cooling unit from the top of the Crafty vaporizer, allowing for easy loading of your dry herb. 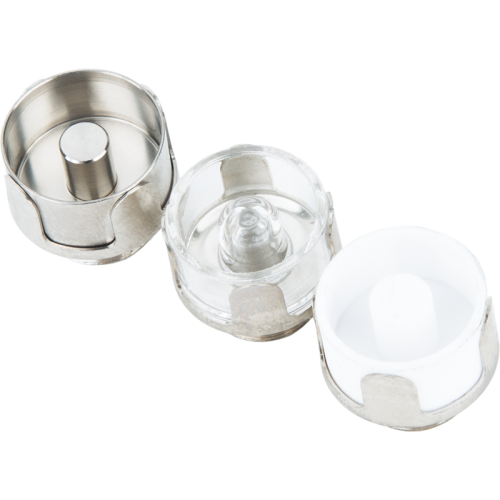 The mouthpiece can be separated into its component parts, which will allow for better maintenance, leading to a longer-lasting vaporizer. Based around a powerful heating unit, the Crafty uses a combination of conduction and convection heating to turn your herb or wax concentrates into delicious vapor. This combination allows the Crafty vaporizer to reach vaping temperatures with less waiting time and the utmost efficiency. The integrated cooling unit and swivel mouthpiece extend the vapor path of the Crafty vaporizer, delivering smooth hits on demand. Wondering how conduction and convection heating works? Check it. Conduction heating occurs when whatever you’re vaping, herbal blends, wax concentrates or other, comes in direct contact with the heating source. This quickly brings your vaping materials up to temperature. This type of heating is ideal for waxes or users looking to vape with minimal heat up time. The only drawback to conduction heating is it can be a little uneven, vaporizing the materials directly touching it, while sometimes leaving un-vaped herbs in the middle. Conversely, convection heating works by heating the air that is around your dry herbs or other vape-ables. 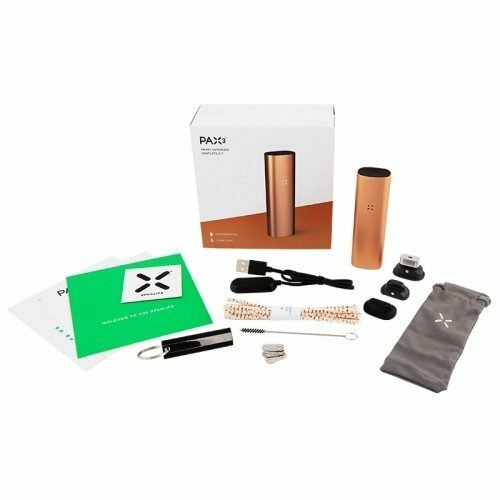 This gently brings the loading materials to vaporizing temperature, eliminating waste as your herb is only heated as you draw breathe. Convection heating is praised for its pure delivery of flavors and maximization of your vaping materials. The issue with convection heating is the time it takes to heat up and the amount of time it will take to vape your dry herb or wax. While for some users this will be a benefit, convection heating may not be best suited to quick sessions. By combining these methods of heating, the Crafty vaporizer offers the benefits of conduction and convection for a better vaping experience. 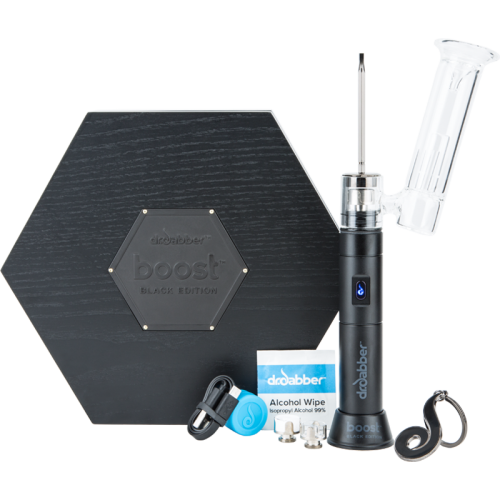 This allows the Crafty to provide large hits of vapor on the first draw, while keeping your herb from combusting and vaporizing every usable bit of your herb. The integrated cooling unit of the crafty vaporizer offers additional surface area to allow your vapor to cool. The longer your surface area, the cooler the vapor will be. A common problem with portable vaporizers is the harshness of their hit. 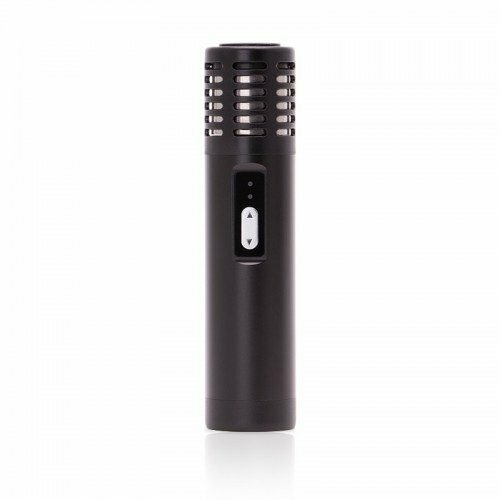 Most portable vaporizers utilize a short mouthpiece directly above the heating element. This allows little time for the vapor to cool, which may prompt coughing and irritate the lungs and sinuses. The series of ridges and valleys in the crafty cooling unit promote cooler, smoother vapor, free of harshness when it hits your lips. Piggy backing on the cooling unit is the straw style mouthpiece of the Crafty vaporizer. Utilizing a swivel design, the straw also works to extend the vaping path in a minimal amount of space. The modular nature of the cooling unit and straw allow the Crafty vaporizer to be easily cleaned and maintained. This will keep your vaporizer performing properly and tasting great. Replacement parts are also readily available, making it no sweat if the unthinkable should happen. Specialized restore kits are even available, to restore your Crafty to new condition. A common issue with those new to vaporizers is draw resistance. Simply put, draw resistance is the effort it takes to pull vapor from your vaporizer to your mouth. With many vaporizers the draw resistance is like pulling a thick milkshake or similar. While this maybe preferential for some, if you are used to other smoking methods, it is quite a bit harder to pull than you are used to. The mouthpiece and airflow of the Crafty vaporizer promotes a very easy and effortless draw. The draw doesn’t’ require any special technique or learning curve. Simply inhale for pleasant mouthfuls of vapor delivery. The one button operation of the Crafty vaporizer allows easy use for all users. Simply press the button to bring the Crafty vaporizer to life and it will begin heating to the default temperature of 356F. It can easily be raised to higher temperatures with a single click. For those looking for more precise control, the Crafty app allows for more granular control over your vaping experience. The single LED will illuminate red while the Crafty is heating. When your vaporizer has reached temperature, the LED will change to green. As soon as your Crafty is at temperature, you’ll be ready to take a hit immediately. Take a long even draw for 3-10 seconds and you should notice visible clouds. If you’re unhappy with the output or density of your vapor, we recommend increasing the temperature. The Crafty is the first of its kind to offer a free remote-control app for your smartphone that gives you the ability to set the basic and boost temperature and other settings of your Crafty according to your preferences. The connection to your phone is made via Bluetooth, and this app is made for iPhone 4s or higher, and Android. The remote control allows you change the LED brightness settings, and turn the vibration on and off, and more. To download and install the app, enter the 6-digit serial number from the bottom of your Crafty and then you are ready to use the remote! When loading your herbal blends into the Crafty vaporizer, be sure to use a very fine grind and pack your herbs tightly. This method of loading will increase the efficiency of your vaporizer. If you are using a smaller amount of herb, follow the above procedure, then add the liquid pad on top of the ground material. This will allow for optimal performance, even less herb. When loading concentrates into the Crafty vaporizer, dab your concentrates on to the stainless steel liquid pad. It’s always best to start with a smaller amount and then build up. You don’t want to have any leakage into the body of the unit. Start with a dab around the size of a grain of rice to get a feel for temperature settings. Adjust to suit your preferences. Once you have your concentrate preferences dialed in on the Crafty, you may load up to .3 gram of wax concentrate (around the size of a pea). It is important to never overload the heating chamber. It’s also important to note that sessions last much longer with concentrates in the Crafty vaporizer than traditional wax pens. Instead of quickly vaporizing your wax concentrates, you are slowly vaporizing them over a period of 5-10 minutes. As one of the largest and oldest authorized retailers of Storz & Bickel products, you can trust that VapeWorld has the latest iteration of the Crafty in stock with the most up to date firmware.